Tombstone was a mining boom town starting in 1880s but the bonanza did not last long, oddly enough, because of too much water in Arizona of all places. The mines at a depth of 500 feet flooded with water and powerful pumps caught fire or failed. By 1909, much of the mining activity ceased, according to historian Marshall Trimble. But Tombstone, dubbed the Town Too Tough to Die, still had its frontier-era infrastructure and lots of colorful stories to share with a world increasingly fascinated by the old West. Ed Schieffelin, the prospector who set off the town's mining boom in 1877, had been warned against his search for silver and gold in the southeastern Arizona Territory. Skeptics said he would only find his tombstone at the hands of marauding Indians. Instead, he hit it rich and the town was named Tombstone. Of course, Tombstone is most famous for its Gunfight at the O.K. Corral on Oct. 26, 1881 near Fremont and Third streets. The shootout involved Wyatt, Virgil, and Morgan Earp and Doc Holliday vs. Ike Clanton, his gang and Sheriff Johnny Behan. Today, 135 years later, we're still making movies and writing about the notorious but short gun battle. And Tombstone is still re-enacting shootouts. In fact, one of those staged events in October 2015 turned out horribly wrong. One mock gunfighter seriously wounded a fellow re-enactor by mistakenly using real bullets instead of blanks. 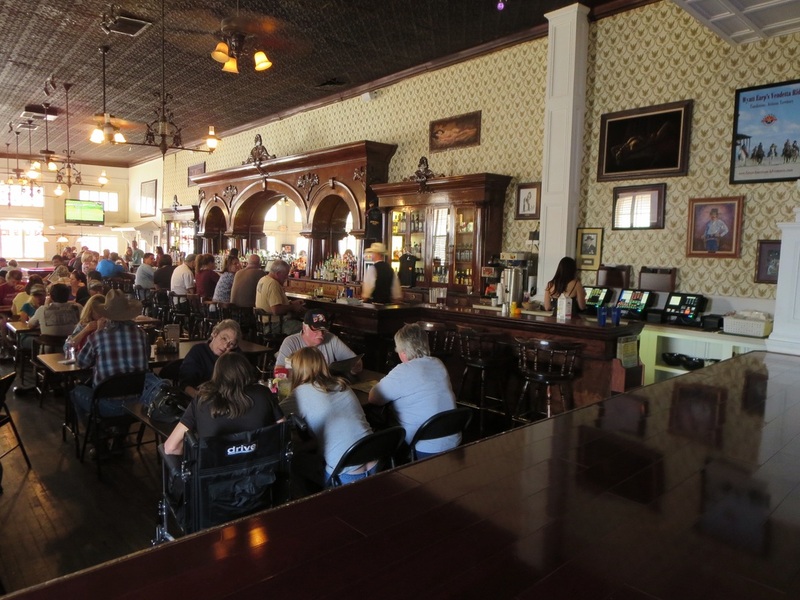 Tombstone is worth a stop on the way to Bisbee or for visitors with a fascination for frontier Western towns. Megan the bartender at Crystal Palace. ​town looks a bit like a Western theme park with false fronts and garish signs. Some folks might find that disappointing. 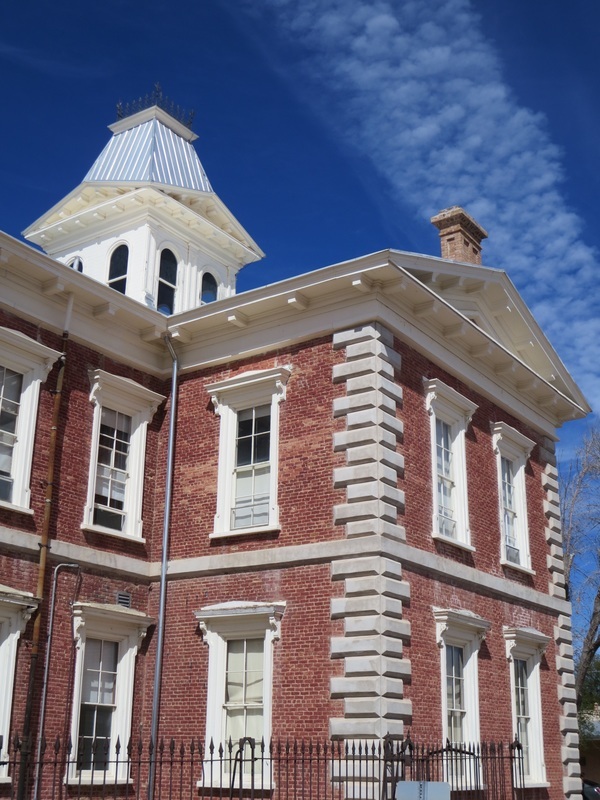 The Tombstone Courthouse and a nearby Victorian home are exceptions that have maintained their architectural integrity. The Crystal Palace is nicely restored inside with a beautiful back bar and historic roulette and faro wheels on display. Tombstone's mining boom lasted for less than three decades but that vibrant era was enough to fuel a tourism trade that shows no sign of stopping well into the 21st century. A gunfight re-enactor touts an afternoon shootout as stage coaches ferry passengers on Allen Street. Tombstone's courthouse, completed in 1883, was the site of two hangings. 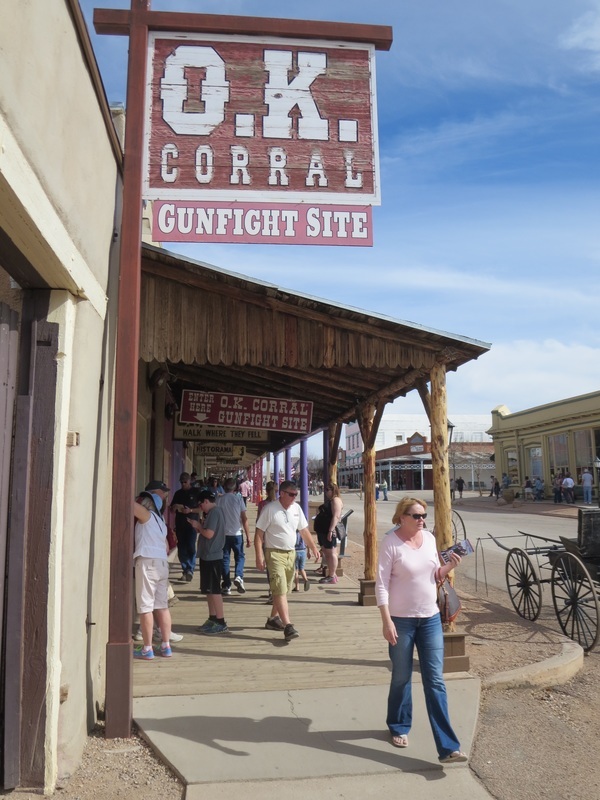 Tourists flock to the site of the West's most famous gunfight. Crystal Palace offers drinking and dining, but in the past featured gambling and entertainment in the 1882 saloon. Bird Cage Theatre hosted all-night poker games and prostitution. Check out the Longhorn Restaurant specials.